And welcome! 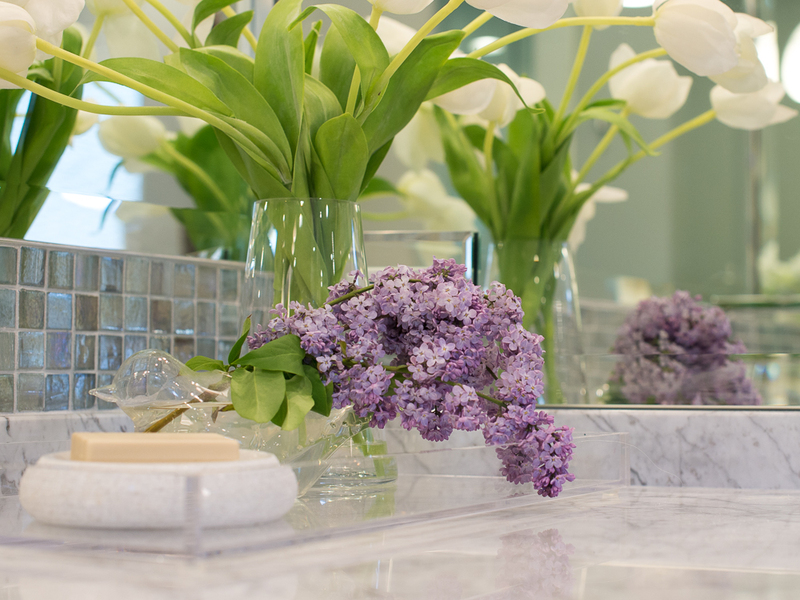 A beautiful way to start the day begins simply by opening the door onto this fully renovated Master Bath. Resplendent with separate His and Her vanities, the day can begin with ease. Bianco Carrera marble, with its subtle spider web veining, plays against straight, slender lines of polished faucets and cabinetry details. The graciously curved Amalfi tub by Victoria+Albert features an extended backrest, perfect for reclining in comfort. Naturally white, with a soft sheen, the Volcanic Limestone composition is inherently warm to the touch. 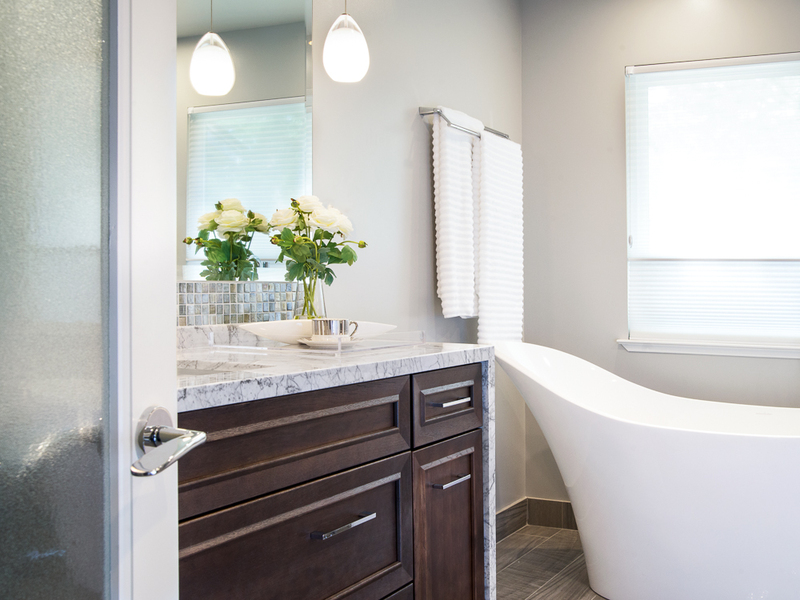 Hanging pendants speak to the curves of the free-standing tub and are dimmable - a perfect feature while soaking cares away from a stressful day of work. Porcelain plank floors, the color of driftwood, are heated and ground the space beautifully. A personal robe niche backed in iridized mosaic tiles adds to the fully pampered spa like experience. 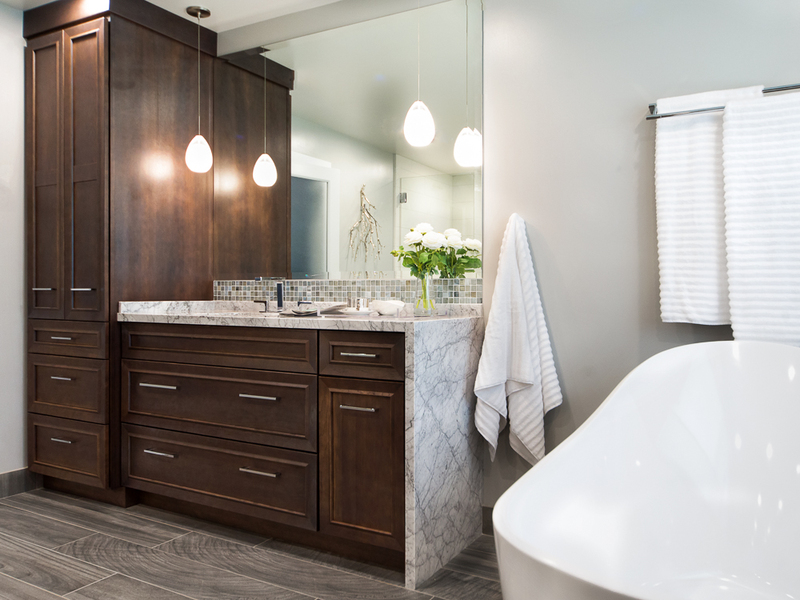 And rich, glazed cabinetry sets off polished nickel hardware with understated finesse. A water closet behind a French door and trash receptacles hidden in pull-out cabinetry keep this space all the more elegant.